Contagion fears have rattled the markets today with everyone worried about the crisis spreading to Italy. 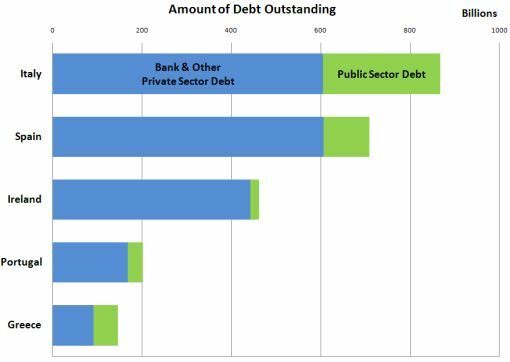 The reason why investors are so nervous today is because the Italian economy and its total amount of debt outstanding far exceeds that of Greece. The following chart shows the total amount of foreign claims on each of the PIIGS. As you can see, exposure to Italy is the highest which explains why it is such a big problem. A default by Greece would truly be a Lehman scale event.